This week we celebrate that two small villages Eemnes binnen and Eemnes buiten) became 1 town Eemnes, 200 years ago. All kinds of festivities are organized. A big tent in the centre of the town near the small harbor is the startingpoint for all events. It is here where a big party is organized for coming saturday evening. 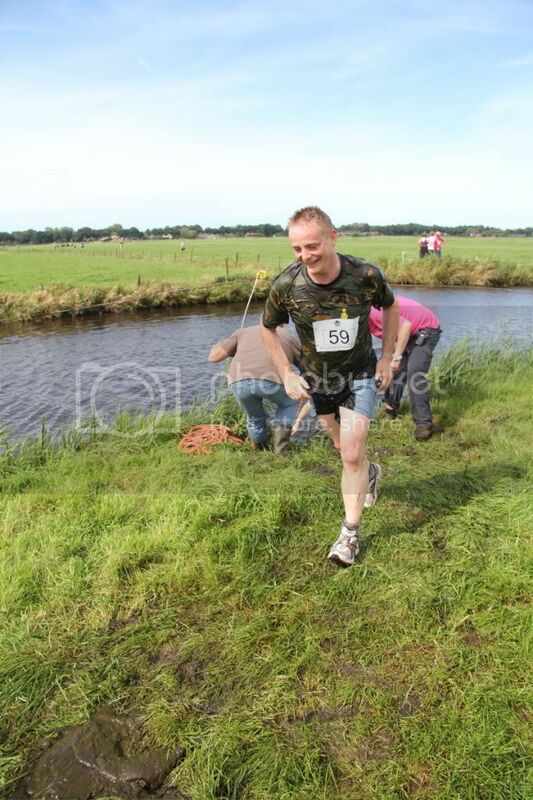 I have participated in one of the events, a 4 km run in the polders through water ditches, canals and muddy grasslands.